Cirrus Co-founder Alan Klapmeier was inspired after surviving a mid-air collision early in his flying career. He wanted the SR20 to have a life saving device if a pilot lost control of the airplane. Probably no technology that Cirrus has introduced has been more revolutionary to the aviation industry than CAPS (Cirrus Aircraft Parachute System). Certainly none has been more controversial. A discussion of CAPS can strike at the heart of why many of us become pilots: we learn to rely on ourselves; we are taught from the beginning to deal with equipment failure; we absorb expressions like, “Superior pilots use their superior judgment to avoid using their superior skill.” We are uncomfortable with the idea of needing help, of getting in so far over our heads that a parachute need ever be contemplated. There were similar reactions in the military to ejection seats. That discussion ended decades ago and few would question them today. The same has happened with CAPS in recent years. Today, CAPS has been accepted by Cirrus owners as an immensely valuable asset. Over 60 people have been rescued in more than 30 uses from situations including in-flight incapacitation, spatial disorientation, careless maintenance, and other loss of control incidents. Despite some suggestions to the contrary, CAPS was an integral part of the Cirrus SR20 development from initial conception. Cirrus Co-founder Alan Klapmeier was inspired after surviving a mid-air collision early in his flying career. He wanted the SR20 to have some form of life saving device if a pilot lost control of the airplane. 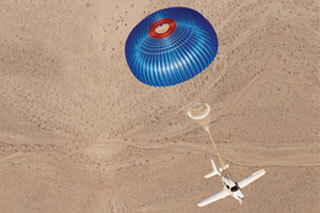 Even in the mid-nineteen nineties, Cirrus saw parachutes proving themselves in the ultra-light arena and ready to be applied to heavier airplanes. The result was CAPS. Stalls at altitude with auto-pilot engaged: letting airspeed decay through downdrafts, icing encounters, or just running out of climb rate, etc. This is rarely discussed but has lead to loss of control and CAPS use. Airplane washing. Many aircraft have been seen climbing into a cloud layer and a pilot then losing control. Washing the airplane, though, was rarely thought of as a possible cause. Yet this was a real life situation for one Cirrus pilot. Pilot Medical issues. Generally viewed as an obscure risk, it appears that previously unidentifiable medical conditions have led to CAPS use. Knowledge gained from CAPS will lead to product and training changes throughout the general aviation fleet. The lessons learned will be applicable to all general aviation airplanes – CAPS equipped or otherwise. Think of the “base to final” turn. In a Cirrus aircraft, the ailerons offer superior low-speed effectiveness - even when the inboard section of the wing may be stalled. Without this design advantage, applying aileron during a stall risks aggravating the stall and raises the very real possibility of inadvertent spin entry. While rolling the airplane level does not alone recover the stall, it does give you a fighting chance to recognize and recover this potentially fatal mistake. Why Cirrus works so hard at spin prevention. Modern production airplanes are, in general, not tested or certified for spins. Aerobatic designs such as Extra and Sukhoi products are, of course, tested and certified for spins – but mainstream general aviation four-seat designs such as Cirrus, Cessna (182, 350/400), Diamond, Piper etc. are not certified for spins. Few 4-seat designs have ever been certified for spins. “The spin” is a subject that often raises strong emotions. Some embrace it with an almost-religious fervor; others see uncharted land – “Here be Dragons.” The reality is simple in principle (one wing is flying, the other stalled) but subtle differences in aircraft design can create very different entry and recovery characteristics. In short, modern general aviation airplanes are not certified for spins, nor are pilots equipped to recover them. At Cirrus, our focus on spins is about prevention. How does this wing design work? 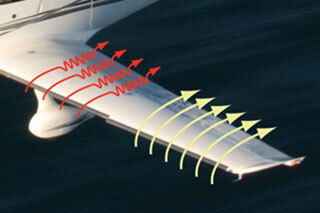 The outboard section of the Cirrus wing flies with a lower angle of attack than the inboard section. When the inboard section, which produces much of the lift, stalls the outboard section, where the ailerons are, is still flying. The result is that a stalled Cirrus airplane can be controlled intuitively using aileron. What is this "ELOS Authority?" Special Conditions can be used to define acceptable standards for a new, unanticipated technology. This avenue is used to require consideration of HIRF (High Intensity Radio Fields) that was historically not considered significant. It was also used to define the standards for whole-aircraft parachutes, which Cirrus used for CAPS. ELOS (Equivalent Level of Safety) findings are used when a traditional rule must be broken to realize some new benefit. The idea is that pursuing this new approach makes an aircraft, on balance, potentially safer than the Part 23 “hypothetical.” This is not waiving a rule – which only occurs in extraordinary circumstances – but making tradeoffs for the greater good. 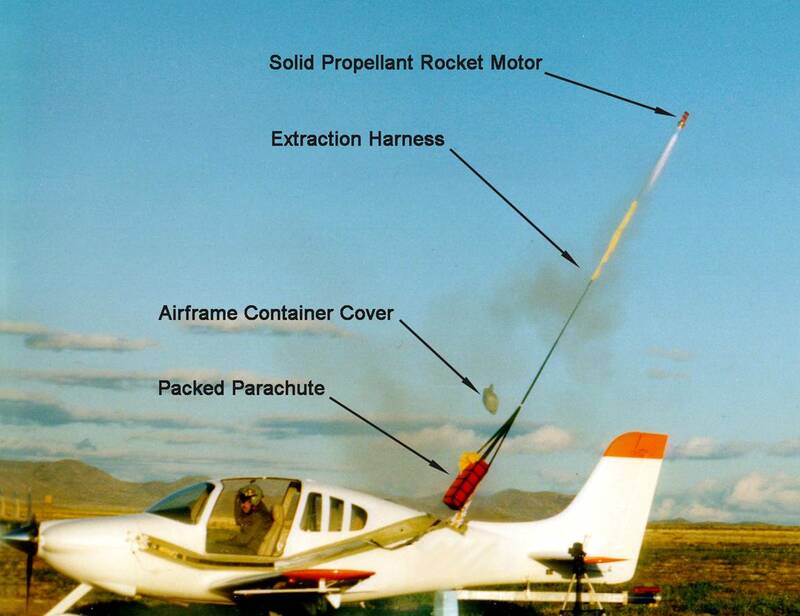 Cirrus chose, in the very earliest stages of designing the SR20 to take on the challenge: to minimize the risks associated with inadvertently stalling an airplane. The approach chosen was to employ wing technology developed by NASA reducing the potential for spin entry after an inadvertent stall. The most visible aspect is the discontinuous leading edge dividing the wing into distinct parts. Passive technology like this is highly regarded in safety circles since no skill or training is needed to gain the benefits. In the automotive world “traction control” is reported to reduce (single vehicle) accidents up to 67%. And the drivers involved never knew they were saved from an accident. At the time Cirrus was not the only company looking at this approach: The then Lancair Company used this technology on the Columbia 300 (later, with an avionics change, the Columbia 350). The now Cessna 350 still has the benefit of this technology; but strangely enough the Cessna 400 has abandoned this technology (the wing "cuffs" on the C-400 have stall strips that negate the effect of the cuffs). 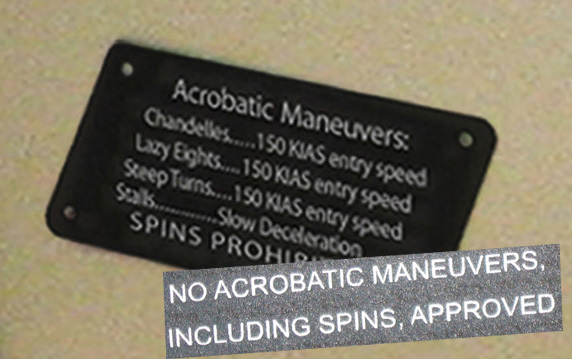 It was clearly understood by NASA, Cirrus, Lancair and FAA engineers that these features could affect spin recovery. The challenge for Cirrus, Lancair and the FAA was that a new certification environment would be needed. FAA engineers accepted the challenge, worked with Cirrus and Lancair, and used their ELOS (Equivalent Level of Safety) authority to develop new standards that accommodated both the Cirrus line of (SR20/SR22) airplanes and the Lancair/Columbia/Cessna 300-series. In the Cirrus case CAPS was being developed independently. Combined with enhanced stall characteristics the FAA found that the whole package was potentially much safer than traditional standards. The "ELOS" was a very straightforward analysis: beyond any other discussion CAPS was a way to deal with the off-chance that a spin was allowed to develop. All understood that pilot skill could not be relied upon. As a footnote, when Cirrus applied for European certification, the authorities there(initially JAA, later EASA), when first evaluating the Cirrus SR20 agreed with the principles of the FAA/ELOS approach but had further questions. A series of spins were performed on their initiative. While not a complete program they reported no unusual characteristics.